Download the sgu files and modify the track you prefer. With Band-in-a-Box you will be able make any changes you want. What is a biab sgu file? How to open .sgu files? The biab sgu file is a multitrack song. The “.sgu” is an extension (songname.sgu) associated with Band-in-a-Box. To open a sgu file you will require the Band-in-a-Box software. SGUs files are the “source” of the backing tracks. If you want to change the key of the song, you need the original “sgu” file, created by Band in a Box. Where does the sgu file come from. If you have BiaB and you create your own tracks, get the sgu file by saving the song (saving the song does not mean exporting it, such as mp3, in that case it would not be editable anymore). 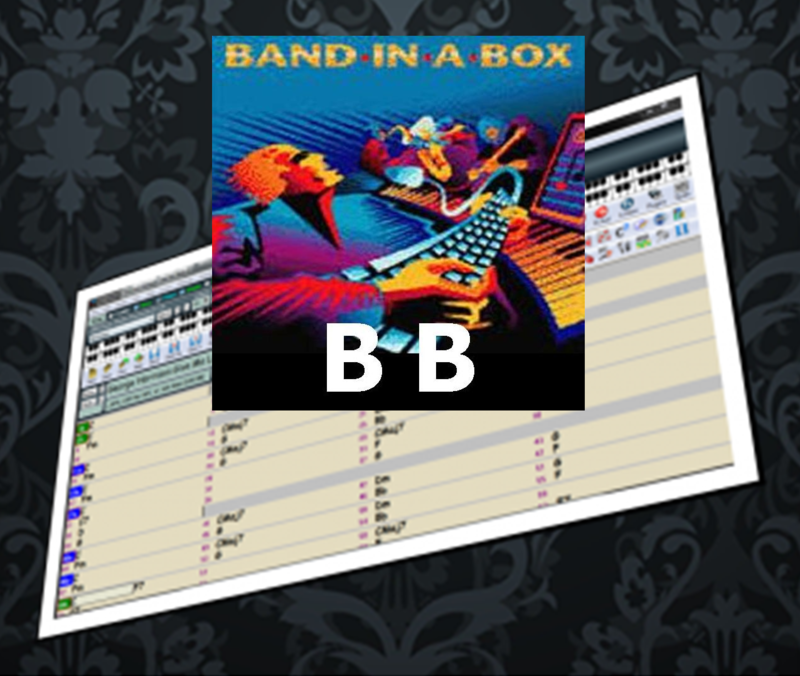 If you do not have “Band in a Box”, or you do not have the time or the desire to create your own pieces, you can download privately arranged mp3s, from this site. If you download these, you will have to use them as they are, if you have the correct sgu file instead, you will be able make any changes you want, as with a midi file, with only limiting the number of RealTracks in your possession. SGU is the extension of files that contain your relayed song with BiaB. These files are not playable with a music player, but only with the BiaB program. Auto created songs are saved in a format called “.sgu”, that of band-in-a-box software, which can also be exchanged between musicians, allowing modifications. The sgu file can be opened by BiaB and modified as you like, key, instruments etc. To do so, it is more practical a media player. All these name extensions are files openable only with BiaB. SGU and MGU are files that can contain RealTracks, while MGX are midi files. If the song does not have a melody, it starts with an ‘S’ (eg SGU). If the song has a melody, the extension begins with an ‘M’ (eg MGU, MGX). S. The song does not have a melody. G. This is a song (G is always present in the BiaB files). U. The style is a user style. M. The song has a melody. You will not find MGU files on this site, as melody files do not serve the musician who use backing tracks, and they are performed live by the musician, as a vocal or solo instrument. Many are requesting more .sgu version of the BiaB backing tracks, to be able to modify the key and other parameters. Uploading a complete and tidy list is hard work. On THIS PAGE, you can have access to all my SGU files. When playing the .sgu file don’t forget to “mute” the instruments not needed. When you see a red square on the bar, click F5 to let you see the current settings. I waiting for your suggestions, comments or questions (English, Italiano, Español, Français). how you built the songs will be good training lessons for me to study. Love BIAB, I’m still a novice on using the program but see that it is very powerful. Played music (or tried) for 60 years, mostly country, southern rock and bluegrass. I have BIAB 2017, upgraded from 2016 and added all the new styles available. until I can get my head around BIAB first. It all probably depends on the version you have. I have used the 2012 and the most recent 2015. In any case, you must almost always manually change styles regardless, choosing among those in your possession and heed the result. Seems likely that you, having perhaps parts of real tracks different from mine, BIAB imposed departing jazz styles into your version (BIAB has always given priority to the jazz genre). But it should not be a problem. With sgu you always need a small operation to change these unwanted sounds, rarely a track sounds perfect at the first act of the project. Try to find a newer version. You may let me know what happens. Thanks, actually it was 2015 edition (mistyping!) – but I can see now how to change the styles. I have just worked out how to change them for my band to try and do a modern rock song in the style of say 1930’s jazz. Brilliant! Do you keep adding to the songs? Do you sell updates? Thanks for your work! – If you send me your sgu, I’ll be happy to add it on the site. – The updates are made occasionally. In the sales page you will see the date. If you notice a more recent change, write me and I’ll send you the new version for free. Your comment gives me opportunity to clarify a few points. – You must have certainly tested some of the files (from this page) before purchasing. These demo tracks are not demos, they are exactly as those in the collection in which you have downloaded. If you have met them, you should not have problems with your new sgus. – Some sgu (only a small few) have not been completed, but are kept in the list for their convenience, even if they are only drafts. – “Europe” is also present here on this page. 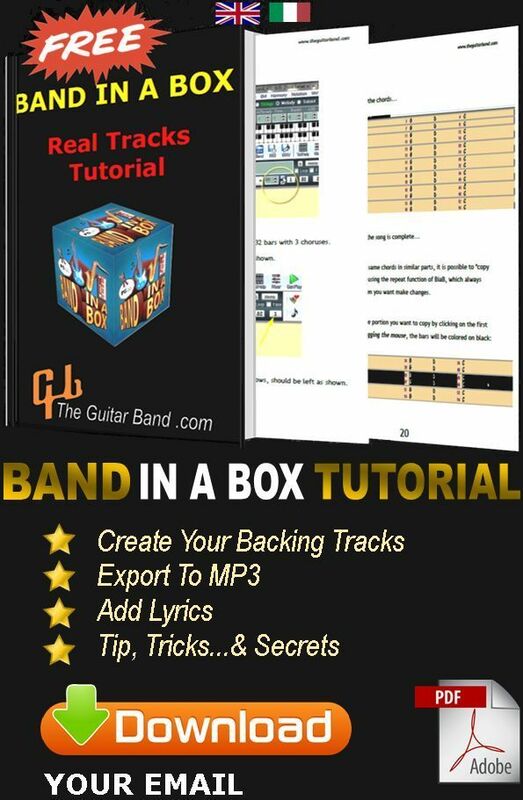 The old files in your possession must simply be replaced, of which I have taken to correct by updating the .rar file, as this fault has already been made in evident by a former comment(https://www.theguitarband.com/tutorials/biab-tutorial/). – The collection of 600 sgu is not a product of any larger company, but simply the fruit of my profession as musician, all of which I exploit for my live performances. The 25$ offer is an extremely fair deal rarely seen anywhere else. – The songs were never targeted to be Jazz (the site never implied that they could be). These are malleable tracks for musicians of all types to improvise with live (consisting the majority). Rock, blues, country etc. The chords are not particularly complex, as you can see in the use of the 9th, 13th, m7b5 (Still Got The Blues) etc. – No melody. The soloist is delivered directly by the musician, which is why these are called Backing Tracks! – I do not possess all the backing tracks of the BIAB, as they are unnecessary. If you can simply replace my tracks with those in your possession, the sound could alter slightly but stay valid still. I find that your criticism on my product particularly severe, since my musical style is clearly evident from the site itself, made clear by the samples I have given, freely testable and verifiable before anyone could have made their purchase. Hi Ted, I’ve uploaded “Signe” to this page. Your videos for creating backup tracks are so easy to follow that it helped me immensely. Thanks a bunch for sharing your skills and expertise on this backup software. Your videos for creating backing tracks are so simple and straight forward. I was able to follow and make my own easily. Thanks for sharing your skills. God bless you. grato Mi chiedo se sarebbe POST A PAGINA i file SGU: Still Loving You (SCORPIONS), the final countdown (EUROPE), Gary Moore parisienne walkways, Still Got the Blues, MUSICAS DA BANDA ROUPA NOVA COMO: VOLTA PRA MIM, DONA, SEGUINDO NO TREM AZUL E A MUSICA LA BAMBA LOS LOBOS. If I hit F5 in a red bar I see no changes that have been made.